MUSEUMS. 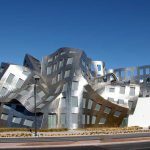 Las Vegas is often accused of imploding its history, but it has actually been reveling in its roots for quite a while now. Nowhere is this more obvious than within the walls and grounds of its museums. 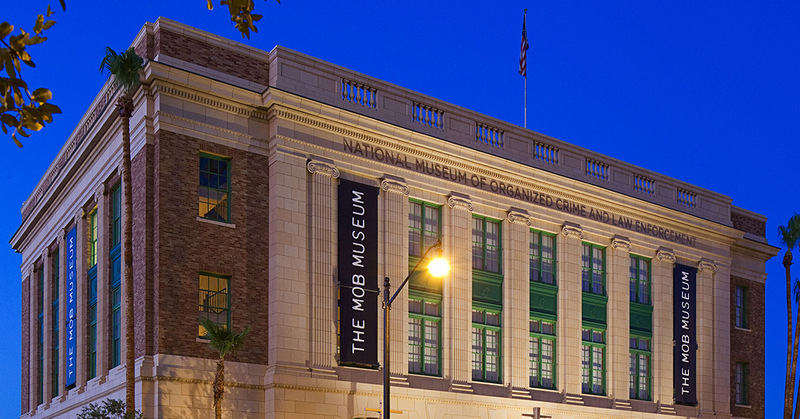 The Mob Museum downtown not only displays the evolution of organized crime and law enforcement throughout the world, it also preserves the courtroom where the Kefauver Hearings took place. 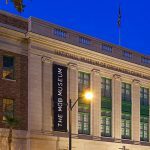 The Neon Museum restores and displays iconic signs and sponsors talks about Las Vegas’s architectural history. The National Atomic Testing Museum focuses on the work of the Nevada Test Site, and the Clark County Museum preserves and displays art, artifacts, and buildings from every decade of southern Nevada’s history. The Nevada State Museum at the Springs Preserve has exhibits about the history, pre-history, and natural history of Nevada. More museums are under development. THE WRITER’S BLOCK. Any city with independent bookstores is lucky. Las Vegas is extra lucky to have an extra-special one. 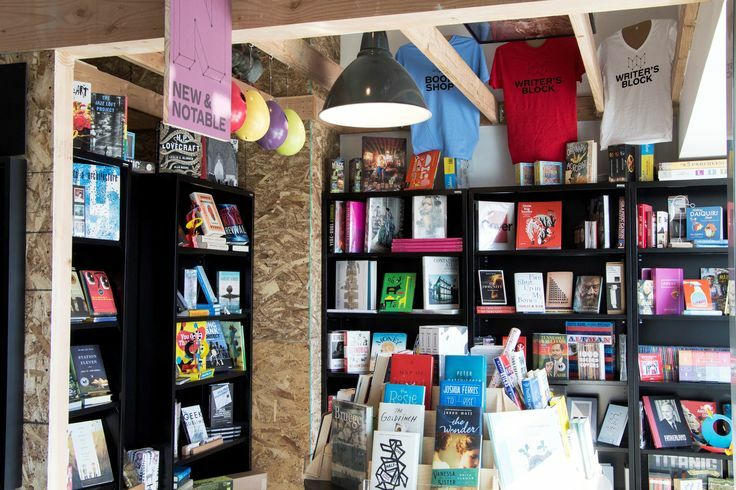 Founded in 2014 by former New Yorkers Scott Seeley and Drew Cohen, The Writers Block is more than just a place to buy a book. 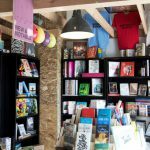 The store hosts events every week for all kinds of people from kids and college students to authors and poets. I’m writing this very piece at one such event, in fact. The Coffee Writing Club is open to anyone who likes the idea of spending an hour or so on a Sunday morning drinking excellent coffee while writing in the company of others. Last week I attended the Bourbon Book Club. As I said, something for everyone. COFFEE HOUSES. Las Vegas has many wonderful ones scattered all over the valley. My favorite is Grouchy John’s at Maryland Parkway and Wigwam on the south side. The walls are lined with full bookshelves, art by local artists, and an eclectic array of items having something to do with Star Wars. 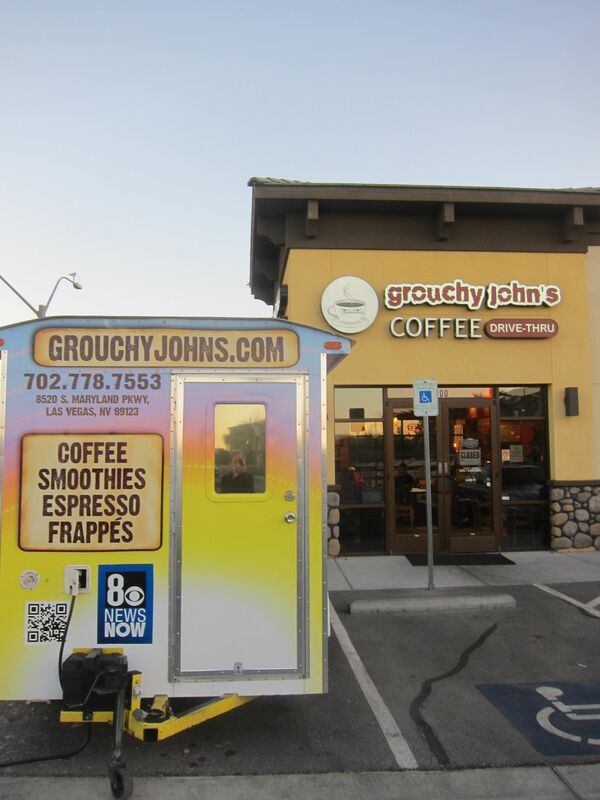 Grouchy has a mobile unit, too, so you never have to be far away from his caffeinated masterpieces. 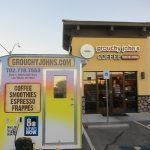 This just in: Another Grouchy’s location is in the works at Cheyenne and Torrey Pines, across the street from the College of Southern Nevada. 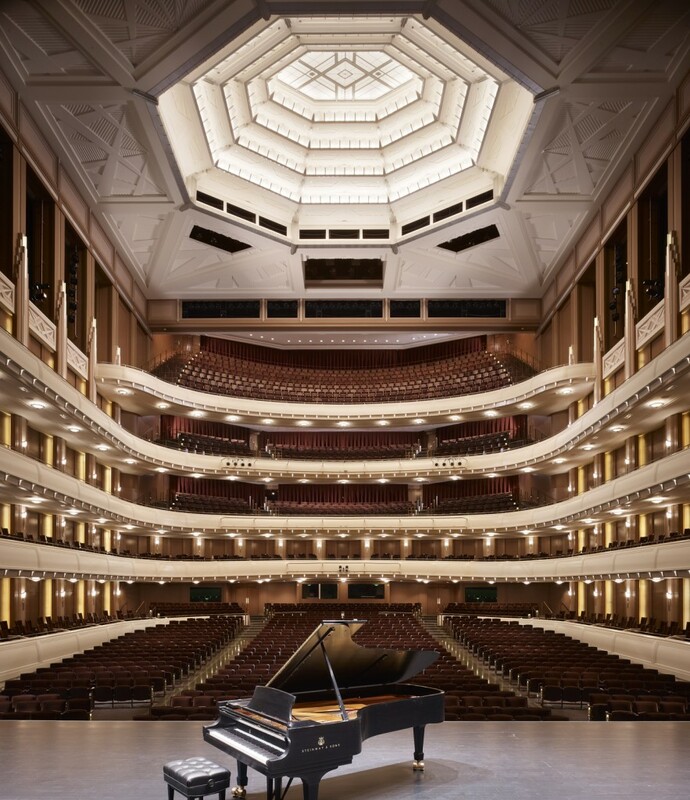 THE SMITH CENTER. 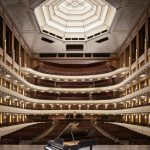 Las Vegas’s fabulous performing arts center is now in its sixth year of providing southern Nevada with Broadway shows, plays, performances, and concerts. The theaters in the complex rival the best in the world. Not only is it a great pace for a night out, it’s a source of civic pride. 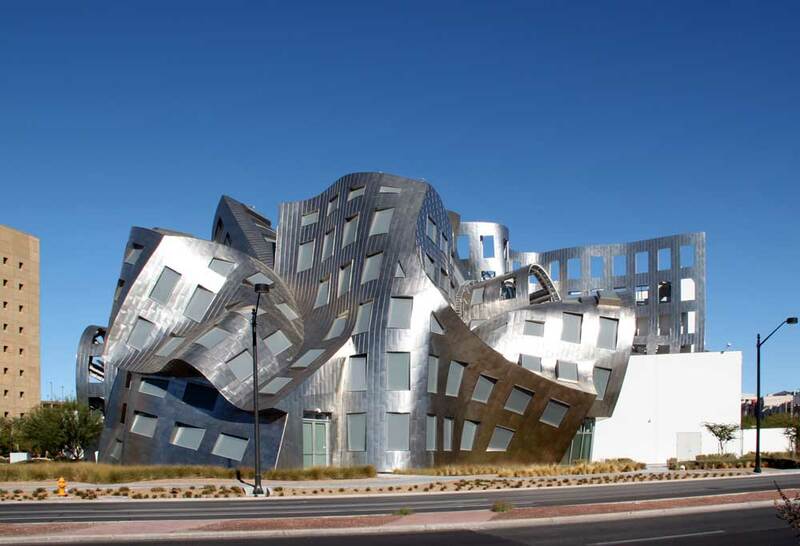 THE LOU RUVO CENTER FOR BRAIN HEALTH (officially the Cleveland Clinic Lou Ruvo Center for Brain Health) opened in May 2010 in a unique building designed by Frank Gehry. Groundbreaking research has already been achieved here, along with the record for the most money ever raised in single evening by a nonprofit. I smile every time I drive by and wish the Center well as it works toward preventing and curing diseases like Alzheimer’s, Parkinson’s, Huntington’s, multiple sclerosis, and ALS. CRAFT BREWERIES. 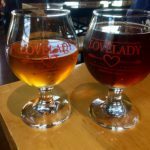 Yes, they’re everywhere these days, but as a fan of hoppy beer, I am so happy Las Vegas now has a great lineup of local brewers. My favorites are Lovelady, Bad Beat, and Crafthaus in Henderson, closely followed by Hopnuts and Banger in downtown Las Vegas. But they’re not the only ones serving up lagers, ales, and stouts. Tenaya Creek, PT’s, Big Dog’s, and Triple 7 all have inviting taprooms. Joseph James doesn’t serve on site, but look for their Citra Rye in Vegas stores if you’re an IPA fan. THE WEATHER. Okay, it’s not only hot right now in Las Vegas, it’s SMOKIN’. I will admit that the summer temperatures freaked me out just a bit when I first arrived. Now, though, I take my cues from wild burros and desert tortoises and stay in the shade when the sun’s out. It’s still hot at night, but moonlight never burned anyone. This leads me to another thing I love about Las Vegas: you can do pretty much anything all night long, from grocery shopping to golf. It truly is a city that never sleeps. Oh, and fall, winter, and spring are great. DIVERSITY. Las Vegas is like Forrest Gump’s box of chocolates. You never know what you’re gonna find out when you start talking to a local. They’re from everywhere, sometimes even here. And if your neighbors from the Philippines, Germany, Thailand, Brazil, Manitoba, or North Dakota begin to seem ho-hum, you can always head to the convention center or the Strip, where the entire world washes in and out like a tide. I’ve always thought our theme song was “Viva Las Vegas,” but maybe “We Are The World” is more like it. MORE. The libraries. The wilderness. “Wild west” politics. Entrepreneurs. Musicians. Artists. Writers. No fleas. No bad hair days. Waiting in line with Elvis at the bank. The list goes on. I don’t live in a house right now with a private pool, but one of the things I’ve lovee about Vegas is being to swim in the balmy night air when it is 103 degrees at 2 am. I also love that “wilderness” is so close at hand. From my driveway, I can be walking on a trail with no one in sight within 15 minutes. And I like then when I go to a Hot Yoga class in the summertime, that it’s actually cooler in the studio than it is outside.